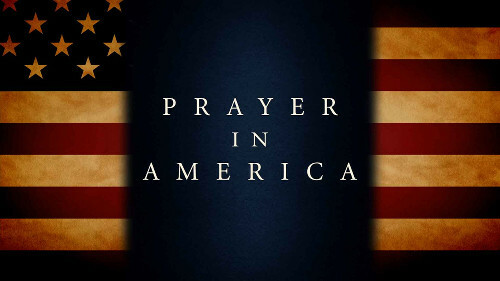 My gut tells me court battles over the constitutionality of the National Day of Prayer may hinge on that three-letter word “may,” which contains a lot of wiggle room for religious freedom over-against the apparent establishment of religious practice of 36 U.S.C. § 119. The legal gulf that exists between “may” and “shall” is a distinction we United Methodists know well because our Book of Discipline frequently uses the the words “may” and “shall,” which carry entirely different weight within our church law. The interesting wrinkle in our local observance of the National Day of Prayer in Plainfield was that our gathering was moved from the flagpole by Village Hall to a church because Liberty Counsel sued Plainfield in November 2012 for religious viewpoint discrimination. I believe Plainfield sought settlement out of court, but now the damages have been ramped up by Liberty Counsel (full text of lawsuit here). Where should the Christian church be in the midst of these issues involving religious liberty? The separation of church and state? The ideals of religious pluralism? What does the National Day of Prayer compel the church to do? Move out? Be compelled and to compel other Christians to move outside the walls of church buildings to pray on the street corners and in the public square, regardless of what lawsuits may come? And regardless what politicians decide to do? Move on? Get over the fact that the U.S. and its jurisprudence does enshrine a wall of separation between governments–federal to local–and church/religious institutions? Give up on trying to re-colonize American culture to some kind of idyllic Christian past? Move over? Make room for everyone else to express their religious beliefs–atheists to Zoroastrians–and, perhaps, to even join them in new, creative ways of learning about each other and forging common ground in the midst of our disagreements? Events such as the one proposed by the Liberty Counsel are not simply “educational events” that have no intentional religious content. They are attempts to get the nation to be “on God’s side” and are, therefore, religious activities. To suggest they are not is simply disingenuous and not worthy of an organization that claims to represent the Truth of God. While I agree that it is important for all of us who are believers both to be “on God’s side” and to encourage/persuade/convert others to be so, I believe there are plenty of places for us to use to do so other than village halls and other government properties; and it is incumbent upon us to be good citizens who do not seek to assert our power over others who may not share our religious viewpoint or aims just because we may be in the majority. We need to make such a powerful case for our position through the things we say and the ways we act towards others that the truth of our claims, being made manifest thereby, draw others to the Lord we serve. “And I, when I am lifted up from the earth, will draw all people to myself” (John 12.32). Who can complain about praying? Can it hurt anyone? Well, I can say that when any one particular group or leadership ‘is allowed to take over’ the celebration of praying, it can become divisive. In Raleigh, NC, we have experienced being shut out of a regular participation when the local Triangle Interfaith Alliance was told that prayers from those of a faith other than Christian were not welcome to offer a public prayer alongside Christians who were leading the prayer service. If one is praying for world peace, for example, wouldn’t we want to welcome the prayers of Muslims, Sikhs, Jews, Sai Babists, Ba’hai’s, Buddhists, Hindus, Jains and any other people of good will? Yes, William, I think you’re right. “We” should welcome people of all faiths to pray “with us” on a day like the National Day of Prayer, though I’m always wary of the dominance of Christians “including” everyone “else.” Christians should look for opportunities to be the guests of others to promote interfaith dialog and to humble their position as the default religious affiliation of the culture. That default position is changing rapidly, however. I believe the “nones” (people that claim no religious affiliation) are the fastest growing category in the U.S.